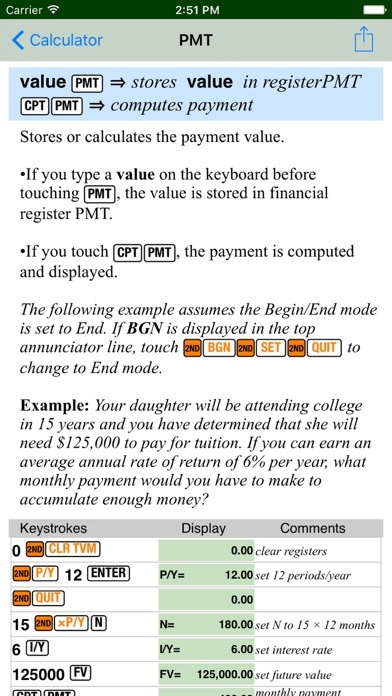 I purchased this app to use in a financial operations class. 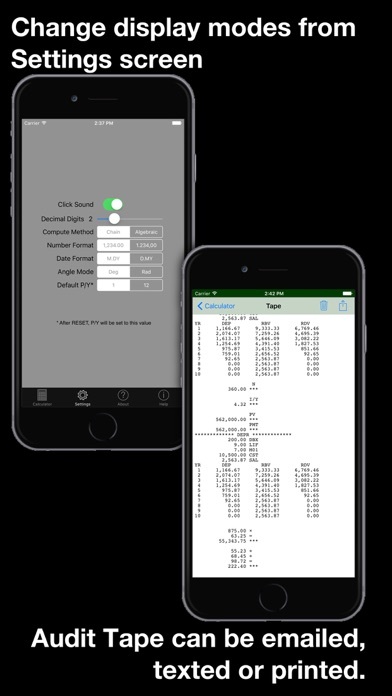 It is much less expensive than a business calculator, and works just as well. Even when my battery-powered calculator is nearby, I grab my iPhone instead! 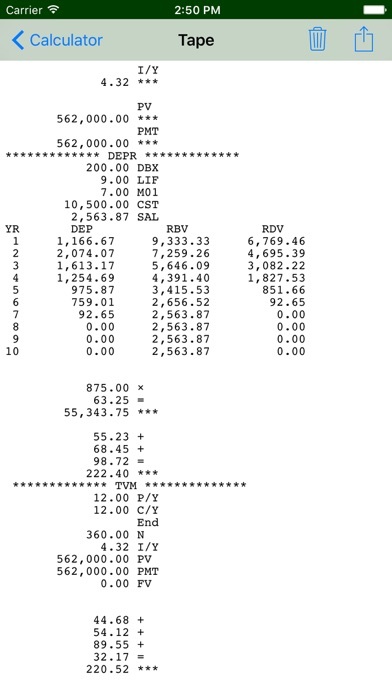 This financial calculator helps me every day. 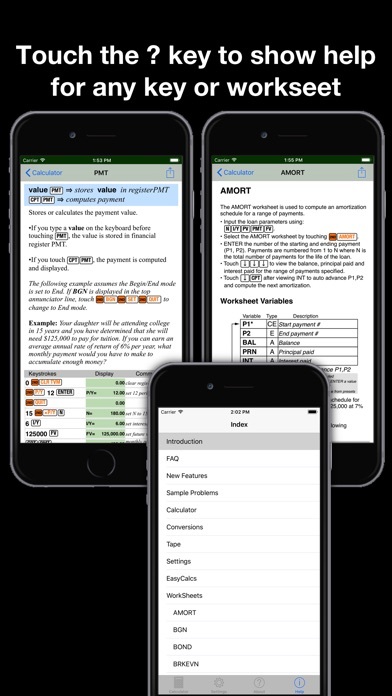 If you need a financial calculator, this is the best one to get. Got this for a class in college. 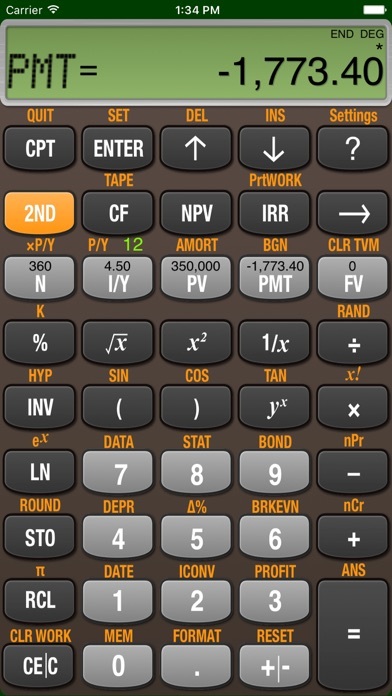 Its much cheaper and more convenient than the physical calculator equivalent. A wonderful app. One of. My most used/treasured. I appreciate this more than my BAII+ because of the “tape” feature and the buttons that populate the values for my TVM calculations. This has been very helpful for my corporate finance class. Thanks. I use it many times a day. So nice not having to carry a separate - more expensive - calculator. Easily shared across devices. My update as of Sept 2017 - have used it for more than a year. Still one of the best apps I have. 5+ stars! My update as of August 2018: still nothing better. still use it daily. great for professionals. however, everyone over the age of 15 should have it and know how to use it for both loans and investments/retirement projections.